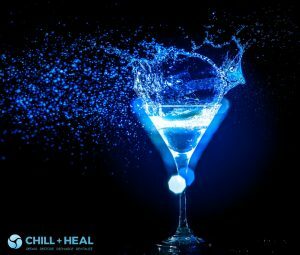 Chill + Heal is proud to announce our Shreveport Cryotherapy Spa is open and ready for business. 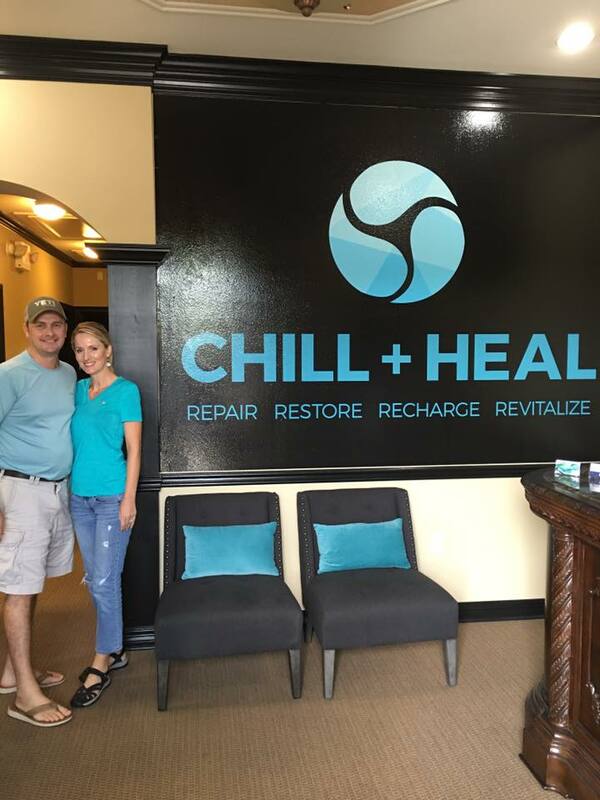 Local owners Larry and Jennifer West did a lot of research before they opened Chill + Heal and are proud to offer Shreveport and the surrounding areas the BEST in cryotherapy with their PREMIER whole body cryotherapy spa. Not only did Larry and Jennifer West spend a year researching the best equipment around, they personally flew to different locations to train and become certified on their equipment. If you walk in to Shreveport Cryotherapy Spa Chill + Heal, you will feel comfortable knowing that you are being taken care of by the best. Not only do we as owners feel like you should have access to us at anytime you are in the spa, but you can rest assured that you are getting the best whole body cryotherapy spa experience that Shreveport has to offer. We’ve spent countless hours working and researching cryotherapy, and are happy to discuss the benefits available from continued cryotherapy usage. 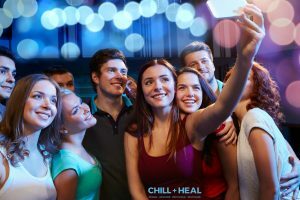 Just what will you find in Shreveport Cryotherapy Spa Chill + Heal? 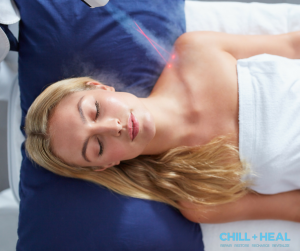 Not only will you find access to some of the world’s most advanced cryotherapy technology, but you will be speaking with trained, certified, and highly educated individuals who have made educating our area correctly on the benefits of cryotherapy a priority. You won’t find that anywhere else! Owner Larry West is a former medical device representative and personal trainer who also has his Masters Degree in Exercise Physiology. He played 18 years of competitive sand volleyball and is familiar with the aches and pains we experience from working out and pressuring our bodies to exceed it’s perceived limitations. He grew up in Pineville, Louisiana. Owner Jennifer West has lived in Shreveport for over 30 years and received her Bachelors Degree from LSUS. She spent a decade as a medical device representative before starting and opening her own business. An avid tennis player, Jennifer is excited to share this therapy with all of Shreveport and Northwest Louisiana.